Christian Liberationism, a subset of replacement theology, also essentially has the same agenda. It derives from the political activism of the Jesuits in South America in the 1950s. Liberationism views Jesus through a lens of socio-political populism on behalf of the underdog Palestinians even going so far as to claim Jesus was a Palestinian. In Warner's view, the Liberationist movement has made some very strange bedfellows. Alliances between the World Council of Churches, Sabeel, Christ at the Checkpoint and its sponsor Bethlehem Bible College, Presbyterian Church USA, United Church of Christ, Eastern Orthodox Churches, and even secular organizations like Boycott Divestment and Sanctions (BDS) have collaborated to undermine and demonize Israel and salute the Palestinian flag. Warner also noted that in 2013, the Scottish Presbyterian Church triggered an international firestorm with a "scholarly report" in which they circumnavigated the entire Bible to assert that contemporary Israel was not the Israel of the Bible and nothing much more than an historical accident. As such, they concluded that Israel has no unique, justifiable claim to the land. 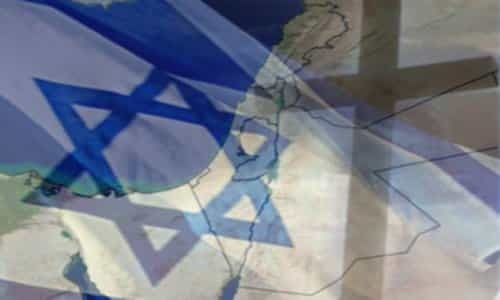 Based on her overall observations, Warner expected that among the enemies facing the nation of Israel daily - Islam, European Union, anti-Israel political forces and Palestinian terrorism from within - Christ at the Checkpoint Conference would join in the chorus of those who work to destroy Israel by the power of words. Warner concluded that the Christ at the Checkpoint Conference was just another tedious example of how name-calling and demonization of Israel masquerade as a legitimate Christian enterprise - yet another example of how Christian theology becomes a tool to undermine Israel. Against the backdrop of all these anti-Israel views gathering traction across the traditionally Evangelical Christian world, it would be easy to conclude that Israel has few friends left within Christendom. Nothing could be further from the truth. "...RESOLVED, That we support the right of Israel to exist as a sovereign state and reject any activities that attack that right by promoting economic, cultural, and academic boycotts against Israel; and be it finally RESOLVED, That at this critical time when dangerous forces are mounting up against the nation of Israel, we recommit ourselves to pray for God's peace to rule in Jerusalem and for the salvation of Israel, for the Gospel is "God's power for salvation to everyone who believes, first to the Jew" (Romans 1:16). There is also the indefatigable Christians United for Israel (CUFI). It was founded in 2006, five years after 9/11, and has seemingly come along in the right place at the right time to fill the gap left by previous evangelical organizations. CUFI has become not only the self-described largest pro-Israel organization in America but also likely the largest evangelical Christian organization of its kind. As such, the group will likely play a significant role in shaping the future of American support for Israel. Pastor Tim Burt, who serves as associate pastor at the Living Word Christian Center in Brooklyn Park, Minn., said that CUFI has become a place for fractured pro-Israel organizations to come together in a powerful way. "There have always been lovers of Israel, there have always been many organizations that supported Israel," Burt said. "But sometimes it is a God moment in time, where Pastor Hagee came along with his leadership, coupled with David Brog, and created this platform at the right time....It allowed for all these lovers of Israel to come together, it was a recipe for success." Pastor Hagee also summarized CUFI's focuses: "Our immediate priorities include ensuring the Obama administration vetoes any actions at the U.N. Security Council that would have an adverse effect on the Jewish state, ensuring Israel has what it needs to defend itself, minimizing the harm done by the Iran nuclear deal, and beating back the anti-Christian, anti-Semitic forces of radical Islam that control wide swaths of the Arab and Islamic World".